After choosing to decline several athletic scholarships from local colleges after graduating from Romeoville High School, Joe joined the military. There he played in the Navy Baseball League for two years while stationed at Great Lakes. He was captain of his team, led his league in RBIâ€™s, and with a .482 batting average, placed third in the league. The Navy team played in the collegiate summer league which gave Joe the opportunity as shortstop to play against teams throughout the Midwest and East. When he began his college career at CLC, he quickly made his mark as a freshman. He was named 1st Team All Conference and had a .452 batting average. 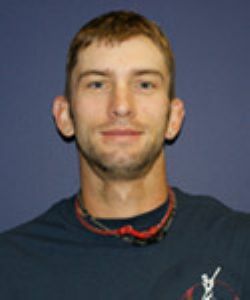 He transferred to Carthage College where, as starting shortstop, he achieved an All Conference batting average of .365. Most recently, Joe was the starting short-stop for Carthage which took third place for Div. III schools in the 2009. Joe currently is the hitting coach for the College of Lake County. His ability to get his players to the next level is unmatched in the area through his instruction and connections into the college and pro level.